Click here to view definitions. on the public highway or verge? Please complete / select all fields to get a quote. 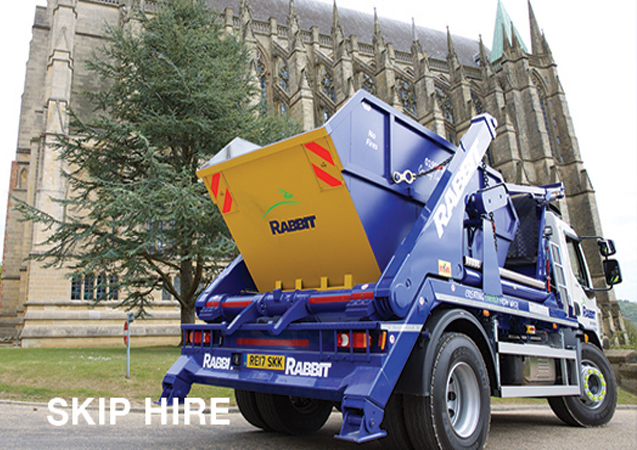 Rabbit Group is the eco-friendly Sussex skip hire firm specialising in construction and commercial waste management. We have years of experience servicing Brighton, Worthing, Littlehampton, Lancing, Shoreham, Goring, Southwick, Bramber, Fishersgate and various coastal & Mid-Sussex areas. We offer a range of skips, commercial & demolition equipment & services, and waste services suitable for a variety of commercial projects. Our extensive plant equipment hire comes with or without qualified professional operators. We have invested our time and expertise into developing usable green energy solutions from waste, diverting 60,000 tonnes of waste from landfills annually in favour of our energy from waste facility.